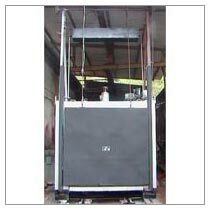 We are instrumental in manufacturing, exporting and supplying of Drying Ovens. We are renowned name in this domain owing to our 100% tested and certified Drying Oven that we offer at the most competitive prices. We have rich industry experience that we have spent in bringing forth the highly durable, efficient and easy to operate Ovens. We offer the Drying Oven in different designs and techniques. The Drying Oven we provide, which is suitable for 250 deg. C was supplied to Crompton Greaves for Drying & Baking of Motor.